Home > Staff > Phoebe Barnard, Ph.D.
Phoebe is a biodiversity and climate change strategic planner, researcher (conservation biology and global change ecology), policy analyst and teacher. She was thrilled to join CBI in October 2018 as Chief Science and Policy Officer. Phoebe hopes to use her combined background in science research, policy, implementation, communication and collaboration to help CBI increase its impact and rigor even further. She is also an affiliate full professor at the University of Washington, Bothell and honorary research associate at the University of Cape Town’s (UCT’s) African Climate and Development Initiative since 2011 and Center of Excellence at the FitzPatrick Institute of African Ornithology since 2005. Phoebe has previously been a senior science-policy consultant for the Center for Large Landscape Conservation, where she worked on global connectivity policy in both the terrestrial and marine environments through support to the IUCN Connectivity Conservation Specialist Group. Before that, she was executive director of the Pacific Biodiversity Institute (2017-2018), principle and lead scientist for climate change bioadaptation and head of biodiversity futures at the South African National Biodiversity Institute (2005-2016), founding national coordinator of Namibia's national biodiversity (1994-2003) and climate change programs (1999), board and executive committee member of the Millennium Ecosystem Assessment (2002-05) and scientific and technological coordinator of the Global Invasive Species Program (2003-05). 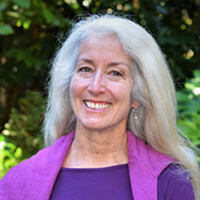 A behavioral and evolutionary ecologist by background, she now works to build coalitions between academia, government, nonprofits and with citizen science groups at different scales on ecological connectivity, climate adaptation, economics for the future, and sustainability tipping points. Phoebe and her filmmaker husband John Bowey also work through film, immersive media, and prose to tell compelling and powerful stories about ecosystem health and biodiversity, among other big issues.